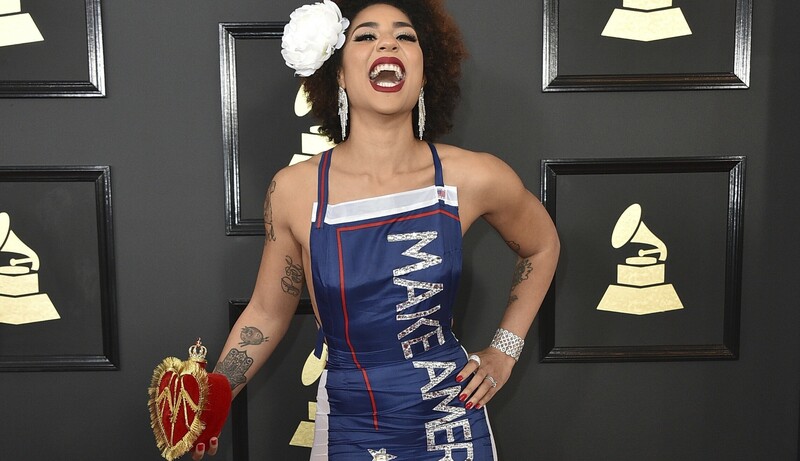 Singer Joy Villa has done it yet again and opportunistically used the red carpet event on Sunday to push pro-Trump messaging. 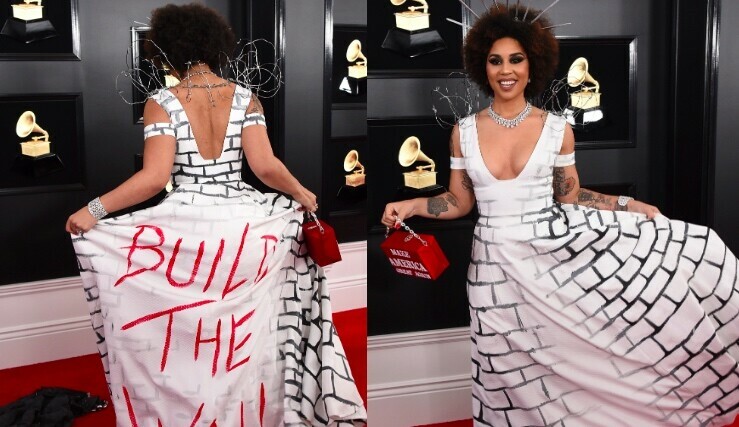 The President Trump supporter took to the 2019 Grammys with a shiny silver dress seemingly decorated to look like the border wall. The accessories Villa had with the dress made clear her intentions as her purse said “Make America Great Again” and she had a fake silver barbed wire placed on her shoulder; her headpiece looked like spikes, which have been reflected in some prototypes of the border wall. Underneath Villa’s silver metallic dress was a black and white one designed to look like a brick and mortar wall. The words “Build The Wall” were written on the back in bold red lettering. “I wear my dress as sort of a sign of protest against what every other artist at the Grammys is doing and saying,” Villa said in a video on Twitter, the Washington Examiner reports. 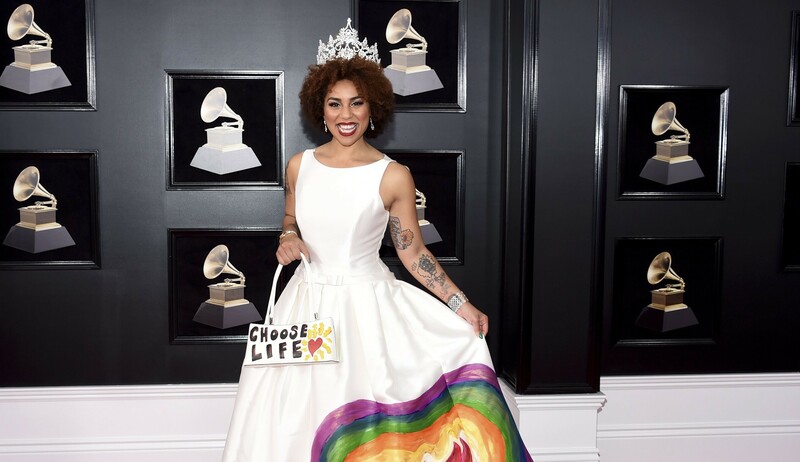 Singer Joy Villa turned heads at the 2019 Grammy Awards, when she sashayed down the red carpet in a traffic-stopping “Build the Wall” dress ― topped off with a red Make America Great Again purse and barb-wire shoulder accents. “To no surprise, I’m still a Trump supporter. I support the president and what he’s doing,” Villa told Fox News. “This is my Make America Great Again purse and dress is by Desi Designs Couture. It represents the wall. One in three women who are trying to come to this country illegally are sexually assaulted. Thousands of children are sexually exploited by coyotes bringing them across the border. Seventy percent of the heroin in our nation is brought in through Mexico. This is far from the first time Villa has made a political statement with her dress. She first made a splash in Hollywood by wearing a blue and red “Make America Great Again” dress, and later wore a mostly white “Choose Life” dress. 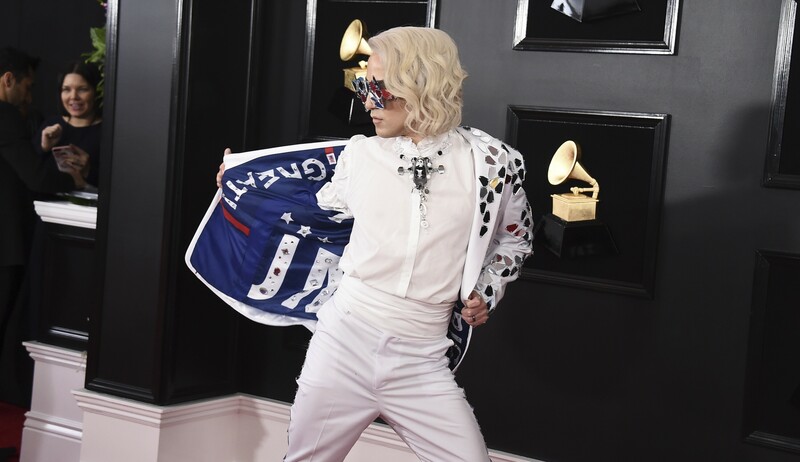 Villa was not the only celebrity to adorn the pro-Trump garb as singer Ricky Rebel wore a red and blue blazer over a white shirt, pants, and boots. As ABC News reports, the coat had “Trump” written on the back and “Keep America Great” on the front.